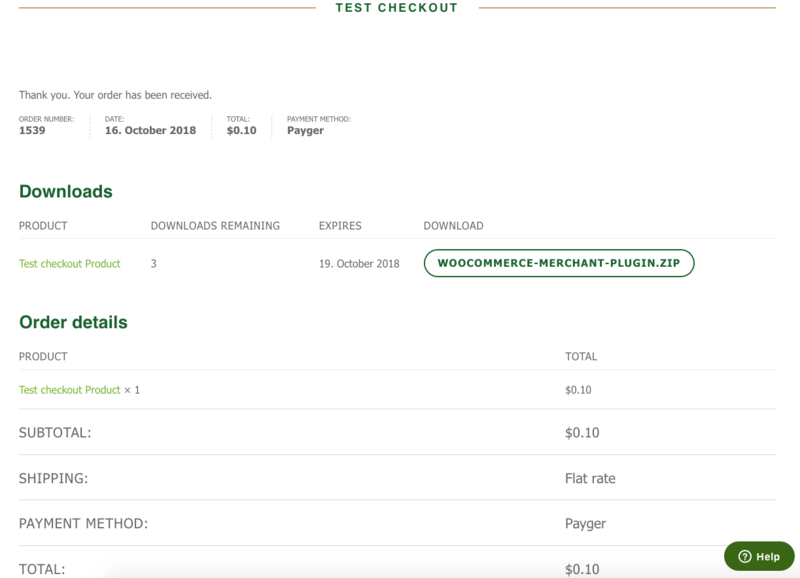 Woocommerce Gateway Payger is a FREE WordPress plugin by Payger. Start accepting Bitcoins, Bitcoin Cash, STEEM or other crypto currencies on Your Woocommerce online store. Increase your sales as you add all major altcoins as payment option for your customers. Stunning performance powered by the Bitshares Blockchain. Chargebacks are simply not possible. Enter ther API Credentials, your preferred currencies and you are done. Welcome new customers from around the world, transfer, exchange and more – we´ve got you covered. Get access to the new cryptocurrency generation. No volatility risk due to BitShares based stablecoins, such as BitDollar, BitEUR or BitCNY. Choose a subset of crypto currencies, to allow payments with, depending on the local currency. Get an estimate value prior to “place order” on the selected crypto currency. Handles underpaid orders, asking customer the missing amount if necessary. Let customers pay with crypto currencies e.g. Bitcoins. Customers can choose the currency they would like to pay with. Orders will automatically update status when payment is detected, no manual validation needed. The Plugin enables customers to pay with cryptocurrencies and offers merchants the possibility to accept them and to convert them into stable coins. 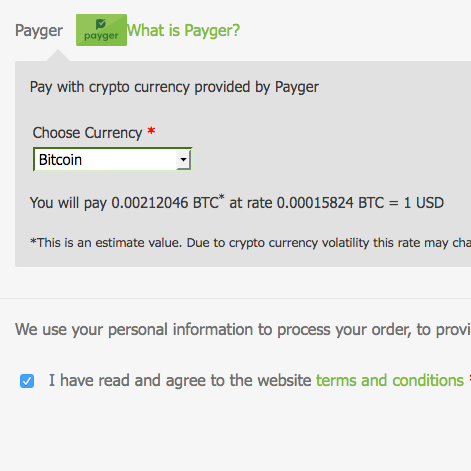 At the Checkout Page, you are able to select Payger as payment method to accept cryptocurrencies. If selected, the actual exchange rate is displayed and fixed for 15 min after clicking the PLACE ORDER button. 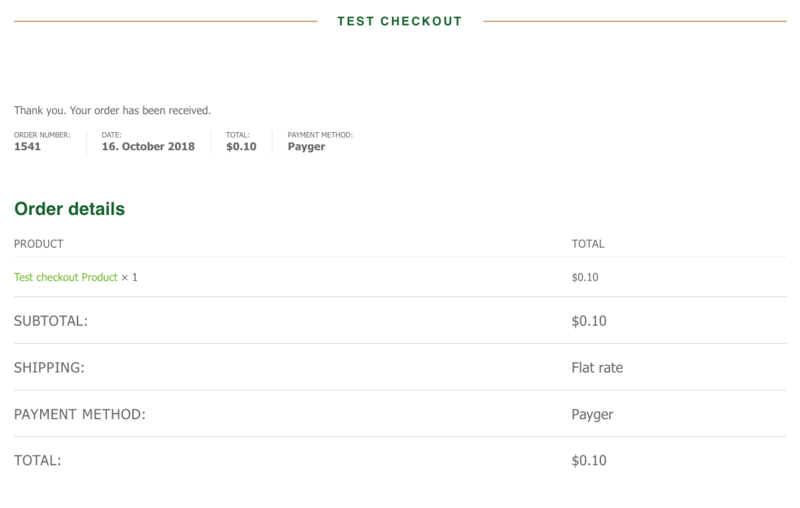 Modal shown after checkout with payment details and crypto coin address. This plugin requires WordPress+WooCommerce and a Payger account at Payger.com. Please make sure you have WordPress and WooCommerce installed on your web server and a Payger account created at Payger.com. 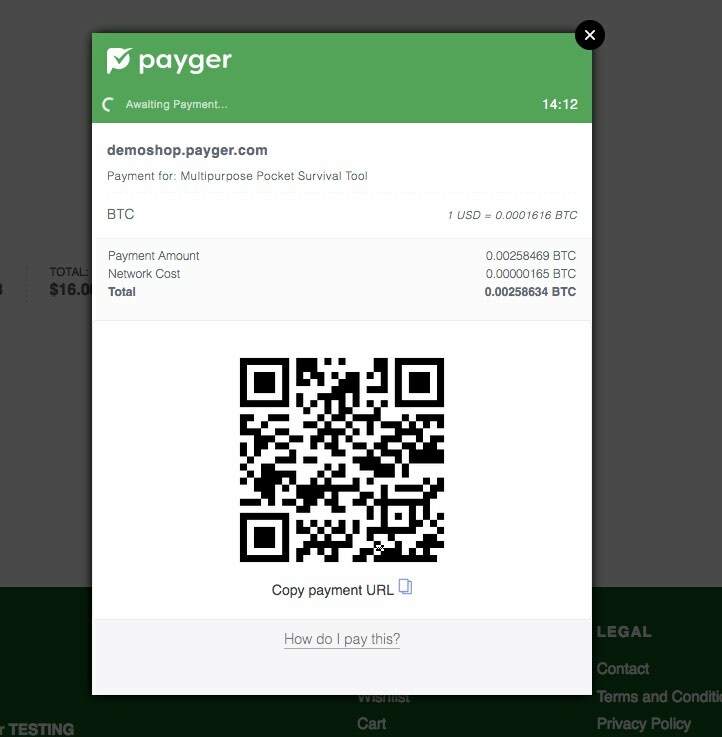 Go to Payger and register as a Business. On Payger Account get your API KEY (username) and API Secret (password). Set your username and password previously given by Payger and save changes. You are now ready to start accepting crypto currencies on your website.